GReddy GREX Metal Head Gaskets NISSAN - Pann Auto Performance - San Diego largest aftermarket automotive performance parts - What do you drive? With higher boost pressure comes increased horsepower, this means increased cylinder pressure. 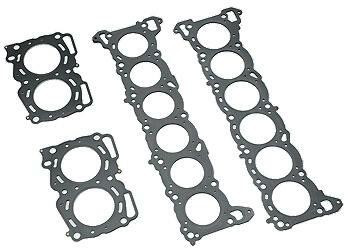 These special metal reinforced Head Gaskets are available in various thickness to lower compression levels and help withstand the extreme temperature and cylinder pressure of an ultra high output engine.